Models that are able to join inside technology, reliability and design. All Italian style. 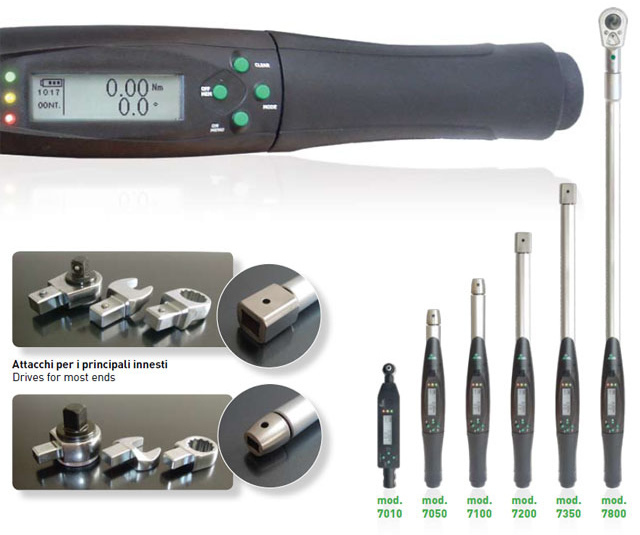 Available with torque reading precision of ± 1% and angle reading precision of ± 1%, to fulfil the most critical applications. Peak hold and track mode direct readings. Torque or torque angle configurations. Torque precision: ± 1% or 2% (from 10% to full scale). 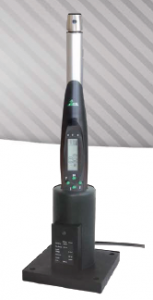 4xAA batteries, alkaline or rechargeable (charger not included). Tolerance range adjustment both on torque and angle. Nm, Kgf m, Lbf in, Lbf ft.
Memory up to 900 values. Optical signals through 3 leds, and acoustical signal with buzzer. Wide digital display 132×32 pixels, with backlight. Data output RJ45 for data download (optional kit 7000K). Better than EN ISO 6789:2004. 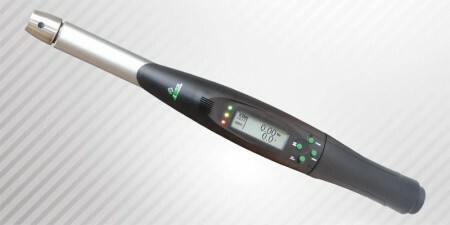 Large LCD graphic display, with high contrast and enhanced characters for easy-to-read figures. Function keys: just four buttons, in an ergonomic position, for an easy access to all the functions.